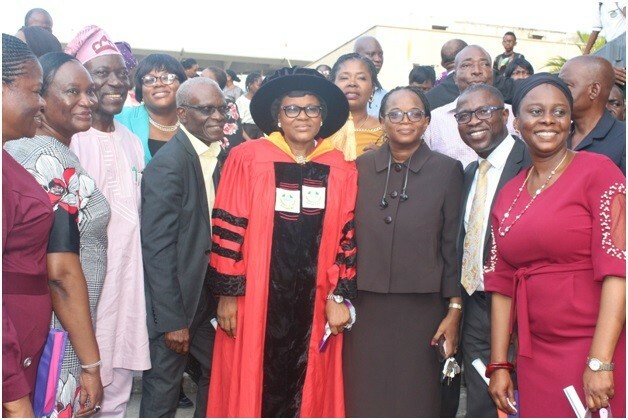 It was a beehive of activities at the inaugural lecture of Prof. (Mrs) Bolajoko Aina, Dean, Faculty of Pharmacy, held recently at the University of Lagos (UNILAG) auditorium. Themed “Take one, three times daily! 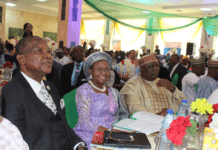 Simple, right?” the presentation was well attended by Prof. Oluwatoyin Ogundipe, vice – chancellor, UNILAG; Prof. B. O. Famitoni, deputy vice-chancellor (academic & research); Prof. Ben Oghojato, deputy vice – chancellor (management service); Prof. Folasade Ogunsola, deputy vice – chancellor (development service); Mr Azeez Oladejo, registrar; Mr Olalekan Lawal, Bursar; Dr (Mrs) O. A. Fadehan, librarian; Prof. Afolabi Lesi, provost and Mrs A. O. Ukaiwe, director (academic affairs). Also in attendance were former Deans of Faculty of Pharmacy such as Prof. H.A.B Coker, Prof. Oluwakemi Odukoya, Prof. Boladale Silva, Prof U. E. Mendie. 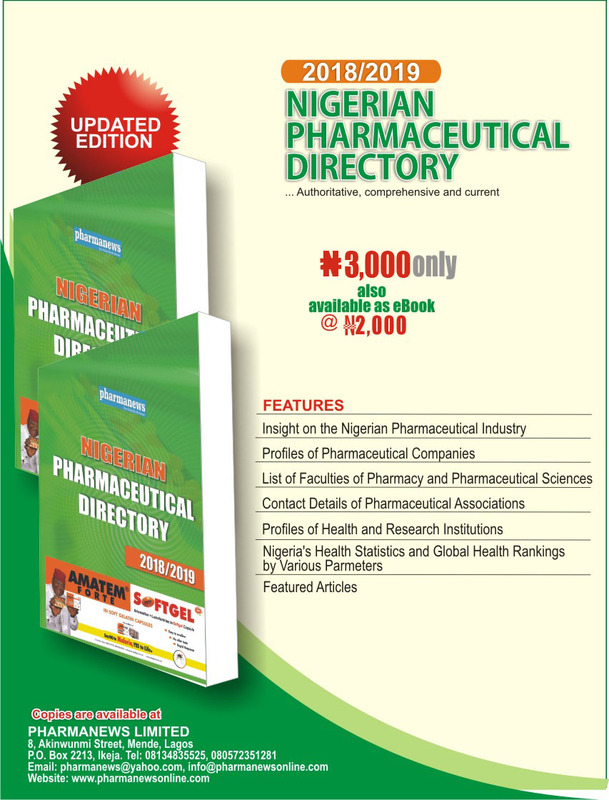 Other participants were Dr Arinola Joda, former editor-in-chief of PSN journal; Pharm. Modupe Ologunagba, former chairman, Association of Lady Pharmacists (ALPs), Lagos State branch; Pharm. 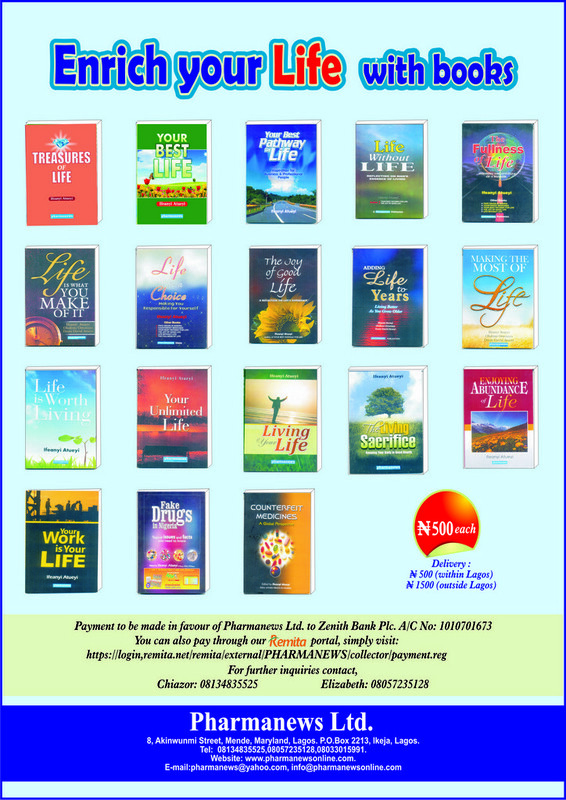 Ismail Adebayo, former chairman, Association of Community Pharmacists of Nigeria (ACPN), Lagos chapter; Pharm. Folorunsho Alaran, marketing manager (West Africa), Shalina Healthcare as well as Mr Ayodeji Aina and Mrs Mary Idowu Sokale, husband and mother of Prof. Aina respectively. In her address, Aina appreciated the Vice – Chancellor for granting her the rare privilege of delivering the lecture, adding that her dream of remaining in academia started way back in 1982. 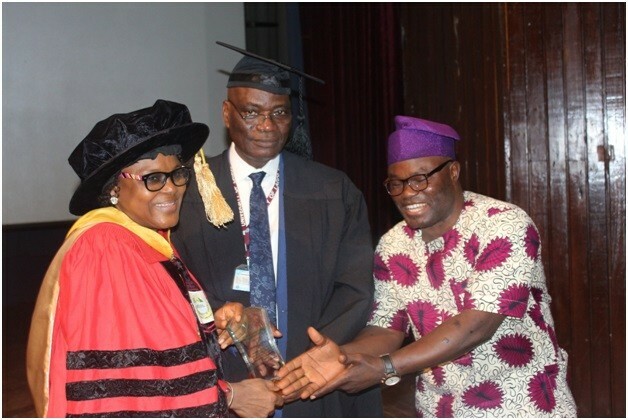 L-R: Prof. (Mrs) Bolajoko Aina, dean, Faculty of Pharmacy, University of Lagos (UNILAG) being presented with an award plaque by Dr Dele Ashiru, chairman, Academic Staff Union of Universities (ASUU) while Prof. Oluwatoyin Ogundipe, vice – chancellor, UNILAG looks on. “As an undergraduate in University of Ife (now Obafemi Awolowo University), I opted to do my internship at the same faculty after my resolve to remain in academia to harness the opportunity to start my Masters in Pharmaceutics (1982/83). “Back then, Clinical Pharmacy was not yet available. My interest in academia was roused by a number of factors namely the serene academic environment, simplicity of academics, peaceful and orderly lifestyle of lecturers on Ife campus (which was quite different from the hustle and bustle of Lagos where I was born and bred),” she said. According to the Dean, the lifestyle being demonstrated by those campus lecturers excited and impressed her as it perfectly suits her personality as an introvert. While asking the audience to give her a resounding applause, the UNILAG vice- chancellor announced that Prof. Aina has fulfilled her part by paying off her professional debt to the institution. Prof. (Mrs) Bolajoko Aina (middle) flanked Prof. (Mrs) Bolajoko Aina (middle) flanked by pharmacists and other wellwishers after her lecture. “She is hereby discharged and acquitted. I officially welcome her into our prestigious class of professors at the University of Preferred Choice – UNILAG” he declared. Interestingly, Prof. Aina’s inaugural lecture is the 328th series in UNILAG, first for the 2018/2019 Session, sixth at the Faculty of Pharmacy, UNILAG; fifth in Clinical Pharmacy nationwide and first in the department of Clinical Pharmacy and Biopharmacy, University of Lagos.